This inspirational quote is from the fantastic song, “Murder in the City”. We love that song!! 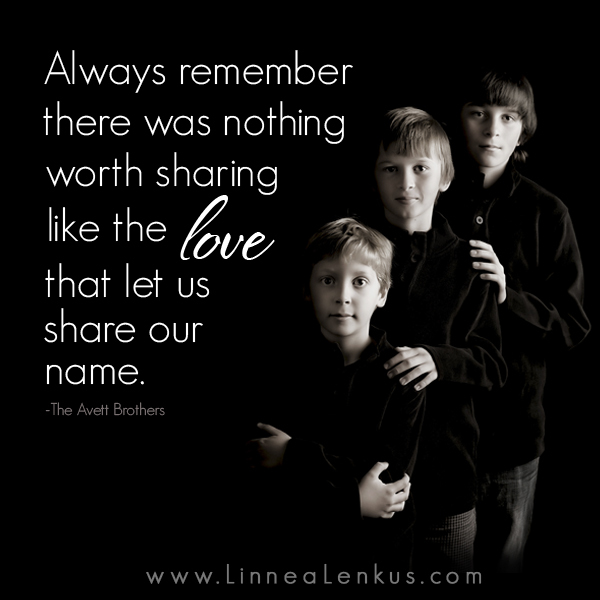 For inspirational quotes and memes about love and family and for famous quotes from people like The Avett Brothers set to the photography of Linnea Lenkus, please click on the links to the right to motivate and inspire you! We love The Avett Brothers here at the photography studio and if you are passionate about The Avett Brothers as we are, pass this on. Spread the word. Pin this. Facebook it. Love it.